Helvetas supports vocational training for young people in Ethiopia. The mostly private educational institutions are oriented to teach occupational skills on high demand in the job market. Their training fees are not paid in full unless and until the young trainees begin earning a steady income. Usually, a craftsman is not paid unless and until, say, the damaged bicycle runs smoothly again or the completed house is ready for occupancy. In vocational training, on the other hand, performance-based payment is unusual. 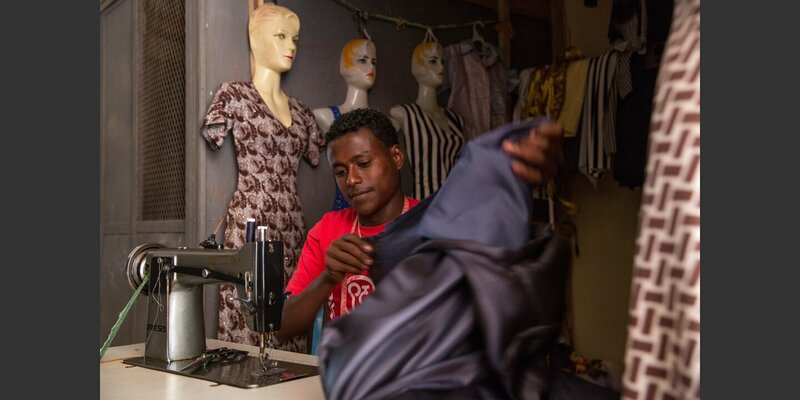 In the Ethiopian city of Bahir Dar, a novel model of vocational training is paving the way for young people to find gainful employment. 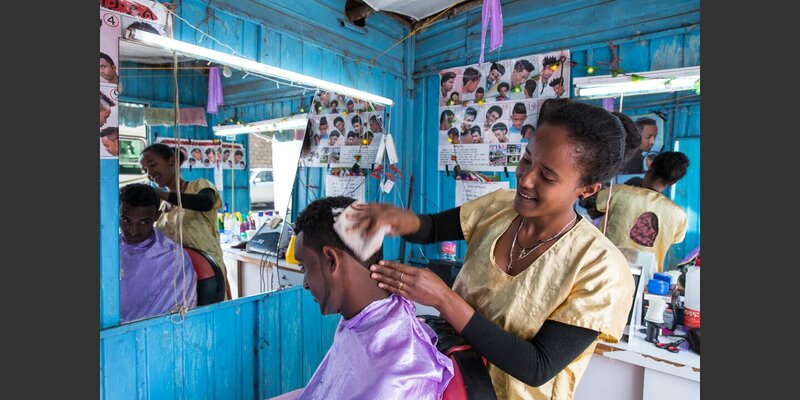 In Ethiopia, there is a lack of training opportunities for disadvantaged young people. This is particularly evident in the city of Bahir Dar, which is experiencing a large influx of young people from the countryside. The capital of the Amhara region, with a population of over half a million in the metropolitan area, is one of the fastest-growing cities in Ethiopia. What that means can be seen every morning at the major intersections in the city: hundreds of people waiting by the roadside in the hope that a lorry will stop and take them to one of the building sites. Most of them wait in vain. State training programmes are limited and inaccessible to many whereas private training institutes have so far placed too little emphasis on quality and did not care about what happens to graduates after they have graduated. This is all the more tragic since there is actually a big demand for skilled workers. Based on positive experiences in a large-scale training project in Nepal, Helvetas started a project called “SKY: Skills and Knowledge for Youth” to provide vocational training for young people from poor families in the Ethiopian regional state of Amhara. Short courses are given in occupations for which there is high demand, such as hairdresser, tailor, carpenter or car mechanic. There is also training in urban poultry farming and food processing. What is unusual about the project is its incentive model: the training institutions are only paid 80% of their fees up front, and the remaining 20% is only paid once the trainees have found a steady employment or have successfully established their own business. Already nearly 2,000 young people, 80% of them women, have completed the three-month training in the project’s first three years. 76% of them have found a steady job or managed to set up their own business shortly after completing the program. This vocational training model can be applied in other regions of Ethiopia and other countries in Africa, and can be integrated into the state’s education strategy. Given its success, the regional government of Amhara is now letting Helvetas use state-owned training facilities and has declared the SKY curricula as the standard for short training courses for the entire region.